Melbourne photographed through the camera hatch of a Hudson in December 1963. Tony recalls lifting the survey camera (probably an Eagle IX) out of the way to take this shot with his trusty Baldessa 35mm camera. 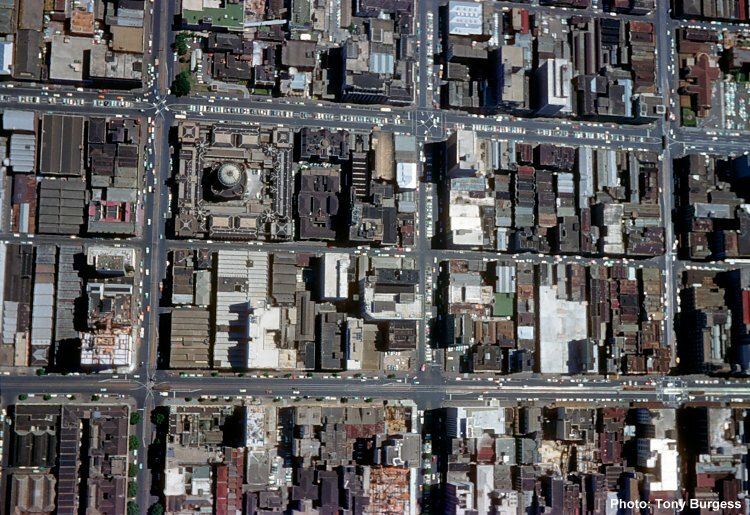 The building with the big round turret and taking up half of one block is the Supreme Court bounded by Lonsdale Street at the top with William Street to the left and Little Bourke Street on the south side. The photo is aligned with north at the top of the photo.